Islanders Authorized: Reports the team has come to terms on a one year contract extension with forward Trevor Gillies with general manager Garth Snow's comments. Expect this to be a two-way contract with Gillies assigned to Bridgeport despite not being dressed for game one against Hershey. Joel Rechlicz enters year three of his contract. Fair middle-weight fighter but he will have to do a lot more than fight to play here with any regularity, being baited into a penalty against Devils that cost them a goal is not going to help nor will three minute games. Only other notable item here is usually Garth Snow does a bunch of signings at the same time and has some restricted free agents/prospects. 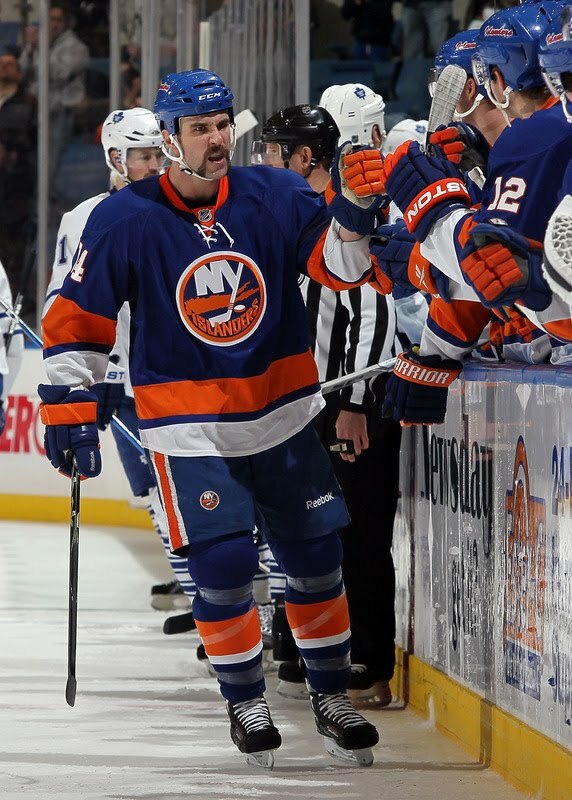 Or Gillies gave Snow the look he gave the Devils and handed him a new contract in fear.